Are you still searching for that last-minute gift? The holiday season is upon us, but there is still time to give the gift of travel – one that can be enjoyed any time of the year. The holidays aren’t about giving or getting ‘stuff.’ They are about spending time with loved ones, and we can do that all year-round by planning vacations. 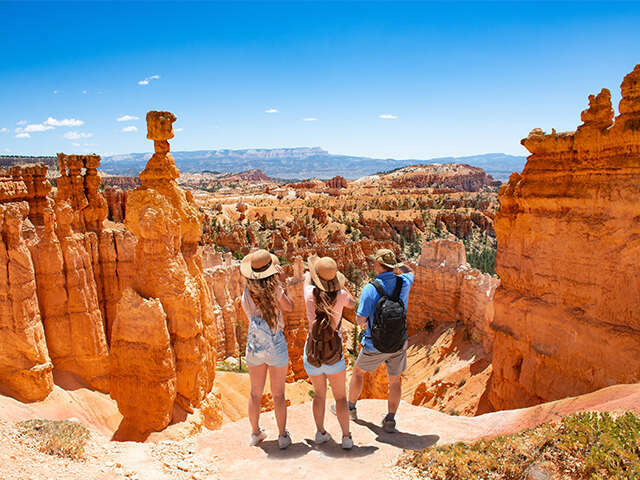 This year, instead of purchasing the typical bracelet, sweater or television, many people are looking for travel ideas where experience will override tangible items. From celebrating milestones, like anniversaries or birthdays, to simply escaping from the stresses of daily life, there are so many reasons to get away. It’s good for the body and the spirit, and it transports you not just physically, but mentally to a place of calmness. It’s a great way to escape and heal whatever burdens you. What could be more tranquil than cruising the open seas in a luxurious setting? It’s about discovering new places, sights, sounds, and tastes, and gaining a new perspective. Exploring a new destination can be exhilarating, and the thrill starts from the time you arrive. Today’s travel is about immersive experiences that can’t be replicated because they are unique to your journey. It opens your eyes and ears to experience something unfamiliar. You are exposed to nature and wonderment that reaches far beyond the limits of a textbook. Travelers can bring the grandkids along and marvel at the sights with them, while also giving them with the unique opportunity to learn and appreciate other cultures. With hundreds of destinations to choose from, the list of places to discover is virtually endless. From iconic cities to remote shores, the photos to be shared on Instagram and Facebook will be more than “post-worthy,” having everyone talking about your latest adventure. Spending time with loved ones and friends is priceless and can deepen the bond of lifelong relationships, whether it’s a couple, parents and children, or grandparents and grandchildren. Shared experiences lead to shared memories. Being able to connect with one another is an opportunity that doesn’t come along often, and travel fosters that connection. Sometimes the best part of travel is the people we meet along the way. They enhance our journey in simple ways that reach beyond the itinerary by offering their perspectives, smiles and laughter. Forging new friendships is an added bonus of traveling. Travel allows us to unplug from work and the stresses that surround us. It affords us the time to sit back, relax and take in the view. And, when you’re ready to post that next photo of the breathtaking glaciers you just witnessed, the choice to reconnect is yours. The thought of it might be overwhelming, but that’s what you have a travel advisor for. Share your dreams, likes and dislikes with them and let them qualify you or your loved ones for the vacation of a lifetime. Travel truly is the gift that keeps on giving!